The following is a sermon by Rev. David Inks of the Orthodox Presbyterian Church, North America (from Kerux), that was read this past Lord’s Day. Most of us drove a car to church this morning. The invention of the automobile has proven to be one of life’s great delights. It has also proven to be one of life’s great annoyances and headaches. To increase the delight of car ownership and to decrease the mental anguish there are an abundance of manuals to repair them and to maintain them. Paul Harvey, the radio personality who brings us “the rest of the story”, advertises “Mr. Goodwrench”, the talented and trained specialist who will repair and maintain your car with precision and dependability. But Mr. Goodwrench doesn’t just toss a manual at you when you pull into his shop. He’s a trained specialist who both understands the manual and how to capably use it so as to return to you a smooth running vehicle. In like fashion, Jesus Christ has raised up specialists in his Word to preach it for the repair and maintenance of his church. Christ wants his church to be healthy, strong, running peacefully, and free of conflicts. He has given ministers of the Word as gifts to the church for this end. Yet after 2000 years of practice we are faced with a proverbial crisis in ministry. Do those who preach only rehearse the dead written letter or should they receive direct, living messages from God? And what is the job description of a pastor? Is it “minister of the Word” or is it “coach and equipper of the saints”? Do pastors minister or simply equip others who then in turn do the real ministry in the church? Today I will be contradicting some current, conventional wisdom regarding ministry. For some I will be asking you to take a renewed look at an old proof-text. If I say something contrary to a view you hold, please hear me out completely. My concern is to be faithful to the passage before us. This section in Ephesians falls quite easily into three parts regarding the flow of ministry and growth in the life of the church. It starts with Christ’s heavenly headship in verses 7-10. It flows through his earthly ministers in verses 11-12. And it pours into the building up of his body in verses 13-16. This is Christ’s method of maturity for his church, his body. Like Mr. Goodwrench, Christ’s gifts are specialists, ministers of the Word for the repair and maintenance of his church. Paul had just urged the Ephesians in the beginning of chapter 4 to “be diligent to preserve the unity of the Spirit in the bond of peace.” Like an elementary school classroom that is first disciplined and peaceful, it is now ready and positioned for learning and growing to maturity. Growth in the body flows from its head, the heavenly Christ. Christ our Benefactor gives grace to each member and he also gives “gifts to men”. Paul wants us to understand that in the New Covenant the community of God’s people are nurtured and structured for growth from their heavenly Lord, patterned after the Old Covenant. So Paul employs Psalm 68. This Psalm had enjoyed a distinctive use in the life of Israel. It had been read for years on the day of Pentecost, a day which became a focal point for the recollection and thanksgiving for the giving of the law on Mount Sinai. Moses had ascended in the cloud of glory on Mount Sinai. Forty days later he descended with the glory of the Old Covenant revelation contained in the law. He was also given on the Mount a set of blueprints blueprints for the construction of the temple. Christ fulfills this pattern in the New Covenant. Having made purification for sin on his cross and then rising from the dead on the third day, he entered heaven by ascending in a cloud to Mount Zion as recorded in Acts 1:11. Then on the day of Pentecost he descended in the Holy Spirit with the prophetic word of the New Covenant community. Hebrews 12 contrasts these two Mounts where God spoke his Old and New Covenant words. The Spirit was given on Pentecost because Jesus was glorified in the heavenlies. Peter’s sermon in Acts 2 connects this outpouring of the Spirit with the revelatory Word of prophecy. Jesus had told his apostles of the Spirit’s revelatory function in John 14 and 16. “The Spirit of truth” would “teach and bring to remembrance.” The Spirit “will guide you into the truth . . . speaking and disclosing” the things of Christ. This descent of the Spirit from heaven is the descent of Christ with New Covenant revelation to the apostolic community. In John 17, Jesus had prayed for his church to be sanctified by the truth, which is God’s Word. The belief of the community, Jesus said, would occur through the Word of the apostles (Jn. 17:20). So we then find in Acts 2:42 the infant church abiding in the apostolic teaching, the Word of the apostles. The New Covenant church is begotten and formed by the heavenly Christ. It is formed by the revelatory Word in the glory cloud of the Spirit of Christ descending from Mount Zion. The Christ who “ascended” is the same who “descended” and “gave gifts to men”. The church did not emerge as an organizational effort at the hands of men. The church’s source and life and covenant Word are from heaven, from Christ. And so too its ministry flows not from its own ecclesiastical resources, but from Christ. Its blueprints for its construction and growth, for its ministry, flows from Christ’s heavenly headship. The New Covenant Word is transmitted from the heavenly Christ in the Holy Spirit to the body by means of gifted men. As verse 8 states, “He gave gifts to men.” Now we move from the heavenly Christ as the giver and Benefactor to the gift of Christ’s earthly ministers, the Benefit. “And he gave some as apostles, and some as prophets, and some as evangelists, and some as pastors and teachers, for the equipping of the saints, for the work of service, to the building up of the body of Christ.” Paul lists four ministers of the Word or officers as the gifts of Christ to the Church. Regarding these ministers of the Word, I have two questions to ask which are currently receiving competing answers. The first question is: “Are there apostles and prophets receiving direct, unmediated revelation from God today?” The answer to this question depends on whether or not these offices can be historically differentiated. In other words, do the apostles and prophets belong solely to the apostolic era of the first century or, as some charismatics insist, do their offices and activities remain with us to this very day? Listen to Paul in chapter 2:19-20: “you . . . are of God’s household, having been built on the foundation of the apostles and prophets, Christ Jesus himself being the corner stone, in whom the whole building, being fitted together, is growing into a holy temple in the Lord.” Paul differentiates between two historic phases in the construction of the church, the temple of Christ. Those phases are the foundation and the superstructure. The foundation consists in the apostles and the prophets, with Christ as the cornerstone. The redemptive work of Christ, his death for sinners and his resurrection from the dead, is the once for all historic cornerstone of the foundation. It is the redemptive deed the Old Testament anticipated. This is the “once for all” never to be repeated work of Christ. Coupled to this foundation deed is the unique role of the New Testament apostles and prophets. Their role is brought forward particularly in 3:3-5: “by revelation there was made known to me the mystery, as I wrote before in brief. By referring to this, when you read you can understand my insight into the mystery of Christ, which in other generations was not made known to the sons of men, as it has now been revealed to his holy apostles and prophets in the Spirit.” Note this phrase: “has now been revealed”. The ages of redemptive history strained forward in longing for completion. Christ has fulfilled that longing. And to the apostles and prophets of the New Covenant it has “now been revealed”. They are the recipients of the revelatory Word. They were part of the “once for all” foundation of the temple as organs of revelation. What they received from Christ they delivered to the church. This is “the faith” as Jude 3 speaks, “which was once for all delivered to the saints.” The work of Christ, along with the revelatory offices of the apostles and prophets constitute the “once and for all” foundation. Thus, contrary to some charismatics there are no apostles and prophets today! And there is no longer any direct Word from heaven! Revelation is canonized and closed. Christ’s ministers of the Word were given for its two respective phases, foundation (apostles and prophets) and superstructure (evangelists and pastors). The fundamental difference between these two groups lies in their reception of revelation. The first were direct and unmediated recipients of revelation. The evangelists and pastor-teachers as part of the superstructure phase received the Word dependently and mediated through the Scriptures. The second group is entirely dependent upon the Word of the first group as recorded as the New Testament Scriptures. This very distinction can be traced from Paul, as we see the ministerial baton passed to Timothy. There is no mention of Timothy’s ministry consisting in the exercise of prophecy. Rather, he is to “retain the standard of sound words which you have heard from me” (2 Tim. 1:13). Timothy was to work with a static body of truth received from an apostle. Paul went on to instruct this second generation minister that “the things which you have heard from me in the presence of many witnesses, entrust these to faithful men who will be able to teach others also” (2 Tim. 2:2). A teachable body of truth transmitted to others was the characteristic work of a minister of the Word in the superstructure stage of the church. 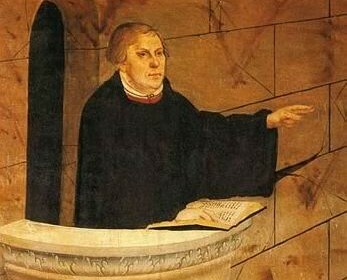 The Montanists of the second century re-introduced prophetic gifts into the life of the church. The larger church rightly rejected them. In the early nineteenth century in London, a Presbyterian minister named Edward Irving encouraged and allowed prophetic utterances to grow in the life of his congregation. In the midst of the fervor of this charismatic outbreak, a lawyer named Robert Baxter confronted Irving with his own remorse over participating in what he deemed delusions of prophetic utterances. Baxter recognized the emotionalism and error of his ways. But Irving would not turn back. This charismatic experiment ended in disaster for Irving and his church. You would think that by the twentieth century the evangelical church would have learned its lessons from history and kept its fingers out of the fire of prophetic utterances. On the contrary, in disregard of the Biblical foundation/superstructure distinction and examples from history, wild prophetic fires have still grown. We find more and more churches fueled by experience and claims to direct messages from God while drifting from its historic foundations as laid in the apostolic Word. But contrary to this modern madness, true ministers of the Word, whether Evangelists to the world or Pastors to the church, build on another revelatory foundation, the one embedded in the pages of Holy Scripture. The second question has to do with a modern spin on the very identity of the pastor. Is the pastor fundamentally understood to be a “minister of the Word” or an “equipper of the saints”? Is he a preacher of the Word or a coach of the crowd? Does he do the ministry or does he enable others to do the ministry? The issue of the pastoral identity is no small one. It seems that some folks desire to radically redesign the traditional pastoral role on the basis of a peculiar reading of the three prepositional phrases of verse 12. Here’s how the newer, innovative view explains this verse. In verse 11, Christ gives officers to the church and then in verse 12 the purpose or duty of these men is delineated. Christ gave them, as the first phrase states in most of our Bibles, “for the equipping of the saints.” We are told that once these saints are “equipped” they in turn are to perform the next two prepositional phrases: “the work of ministry” and “the building up of the body of Christ.” Despite its grammatical oddity, the second two phrases of “ministry” and “building” are nestled into the first phrase. The distinctive outcome is that the saints are “equipped” by the gifted men, so that, they can in turn do the “ministry” of “building the body” of Christ. From this perspective the pastoral office is one of “enabling” a working oneself out of a job by enabling others to do the work. The pastor becomes a spiritual gifts specialist to manage the saints in achieving their goals through group dynamics. This defaults to the pastor as a coach, manager, or even worse, CEO. This particular exegesis of the passage has been swallowed hook, line and sinker by house church advocates, anti-clergy groups and mega-church ranchers. Even the Geneva Study Bible has uncritically adopted it. But is this what the passage teaches? There are at least three good reasons to reject this modern interpretation of the text and its conclusions for the identity of the pastor. First, another view has been championed by older exegetes such as Calvin, Owen, Hodge, and moderns such as Andrew Lincoln and David Gordon. That view understands these three prepositional phrases in their more natural grammatical sense. Here we see that the three phrases are all dependent upon the controlling verb in verse 11″He gave”. Christ gave these ministers to do the following three items: to equip, to minister, and to build. In this case each phrase refers back to what Christ gave these ministers to do. They are three separate, supporting purpose phrases each developing the work of the gifted ones. This is the plain sense of the grammar. It is an awkward construction to insist that two of the phrases are nestled under and explanatory of the first phrase, as the modern view sees it. In agreement with Calvin and the others are the translators of the KJV. There are no textual variants clouding this issue. So listen to how the KJV reads verse 12. Paraphrasing verse 11, “He gave these offices” and then verse 12, “for the perfecting of the saints, for the work of the ministry, for the edifying of the body of Christ.” The verse simply states the threefold work of the “gifted ones”. They perfect, minister and build the body. This is what the Word does. Thus, this is what a minister of the Word does also. Notice that with this understanding of the verse the grounds used to pack the definition of a pastor with managerial freight is removed. Does this mean that the saints have nothing to do for the growth of the body of Christ? Of course not! The saints have much to do in building the body. But this verse does not describe their role at all. Neither does it redefine the role of the pastor in the garb of a coach or CEO after the order of a manager of modern group dynamics. A second problem with the modern understanding of this verse is the translation of the word “equip”. Matthew 4:21 says that the disciples were “mending their nets.” The same word. Galatians 6:1 states that “if anyone is caught in a trespass, you who are spiritual, restore such a one in a spirit of gentleness.” Outside the New Testament, the word is used in the context of “setting a bone”. The sense of “equipping” someone to do something else is not within the normal range of this word. Rather, the ministers of the Word “mend”, “restore” or “perfect”, as the KJV translates it. This is what the Word of God does to broken sinners; it mends and restores them. And thus it is what the minister of the Word does as he preaches. The translation of “equip” neither fits its range of use or the context here in Ephesians 4. By correcting this translation problem, we also correct the perceived role of the pastor. He is not an “equipper” or coach or manager who enables others to do the “real work” of ministry, but rather one who wields the instrument of restoration and thereby “restores, mends and perfects” the lives of those who come under its instruction. His preaching of the Word restores and is the ministry, which builds the body of Christ. Look around you. What methods does the evangelical church at large invest in today? Who would they have lead them? Some are mesmerized by charismatic preachers claiming intimate dealings with God so as to have “heard from the Lord.” Others are looking to dynamic managers who have learned the latest techniques for moving the masses. But Christ’s methods for growth, as found in this text, are ministers of the written Word, verifiably godly and gifted men in evangelism and pastoring. These are Christ’s gifts to the church. Such men should be gladly received, and supported, and affectionately embraced and encouraged. Not for their own sake, but as those whom Christ has given for the welfare of his church. Which brings us to the last point in this text, Christ’s body, the beneficiary of Christ’s gifts. Paul wraps up this flow of ministry with the effects of Christ’s gifts to the church in verse 13. They perform their work “until we all attain to the unity of the faith, and of the knowledge of the Son of God, to a mature man, to the measure of the stature which belongs to the fullness of Christ.” The faithful ministry of the Word in a church will cause it to grow and be edified unto “unity” and a “mature man” in Christ. Of course this level of unity and maturity is the eschatological goal of the church. Not until the consummation will we realize what Paul calls the “fullness of Christ”. But between now and then as we battle day by day in the “already” of Christ’s fullness, we press on through the ministry of the Word of God to win the day of ultimate conformity to Jesus Christ. We continue on that redemptive historical highway which ends at last in the celestial city. This is Christ’s method for maturity. It is a flow of ministry like a waterfall that proceeds from a high cliff, runs over a series of boulders then plunges into a pool of refreshing water which swirls around and around before continuing to its destination. It is Christ’s pattern. It is his method for the growth of his body, both in quantity and quality, by Evangelist and Pastor. Our great heavenly Benefactor’s methods are being set aside in many segments of the church these days for what appears to be more exciting benefits. However, the long-term yields are proving to be of very low interest. If we are to be truly the beneficiaries of his great wisdom and gifts, then it behooves us to listen again to this text of Ephesians. Christ, our Benefactor, just didn’t toss a manual at his church for its own repair and maintenance. He has given his church the benefit of his gifts, specialists in the Word of God. Through them he visits, and redeems, and feeds his church with the means of grace. These godly and gifted men need to be recognized by his church, trained in her courts, and embraced to her bosom for the ongoing repair, maintenance, and maturation of her daughters and sons in Christ.